After the past few days of hard riding, legs needed a rest, so took it easy today, exploring the city by rocket trike. Pittsburgh doesn’t always get the respect it is due. Most of the nation’s steel was produced in this city, making Pittsburgh the cradle of America’s industrial revolution. Thus the name of the city’s beloved football team, the Pittsburgh Steelers. Ended the day at the home of David Hughes, who was kind enough to “block” for me in his car the last few miles to his home. Looking forward to getting some rest tonight, and to riding down to Heinz Field for some tailgating before the Steelers home game tomorrow. 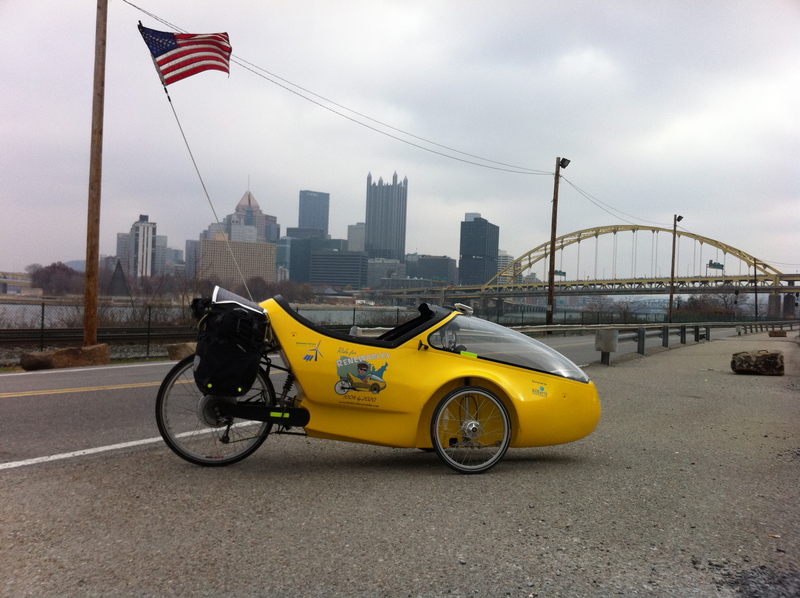 This entry was posted in 2010 Ride, Blog and tagged industrial revolution, pittsburgh steelers, ride for renewables. Bookmark the permalink.